Looking for a great Read? Try before you Buy! Download first Five Chapters for Free! Over 42 5-STAR Reviews on Amazon. The Verdict is In: R.C. 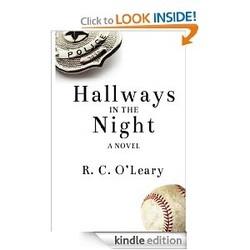 O'Leary's legal Thriller is a Great Read! Bob D'Angelo, tampa Tribune: "a very readable, fast-paced book with good character development and some surprising plot twists....perhaps "Turn the Page" by Bob Seger is more appropriate because this legal thriller is certainly hard to put down." You Can Read Mr. D'Angelo's Full Review Here. BookStory: "A totally unputdownable book. An edge of the seat legal battle that makes you keep turning pages till the very end." Diane Donovan, Ebookreviewer, MBR: "a tightly-wound story of suspense and intrigue that will keep even seasoned mystery and legal thriller readers guessing to the end........O'Leary's story is complex on many levels; but perhaps its most satisfying quality is a continuing sense of surprise." Lance smith, the Sportsbookguy Blog: "5 of 5 stars....."should be read by all fans of legal thrillers." You can read Mr. Smith's full review here. "I was pleasantly surprised at the number of relevant and intriguing story lines that developed along with the characters." "I couldn't put it down. I even read it thru commercials during the NFL Wild Card games." "a legal thriller with twists and turns worthy of Grisham." "I loved the characters, plot lines and twists"
"Loved the book. Great read."